MIA Much? Yes that would be me. I could list out excuses for why I haven’t posted but truth be told it comes down to the fact that time is not my friend. I get to work before it is light out and get home after dark. Outfits pictures are REALLY hard to take in the dark. Also I have realized I am the worst at remembering to take pictures during random outings (I am working on this). Over the past few weeks I have celebrated my birthday, which was far better than I can explain. I have a full post on that coming up. I also had a work trip last week that took me to West Palm Beach. It was warm but not hot and I got to play golf…it was a great work trip. Don’t worry I attended plenty of work sessions while I was there too. 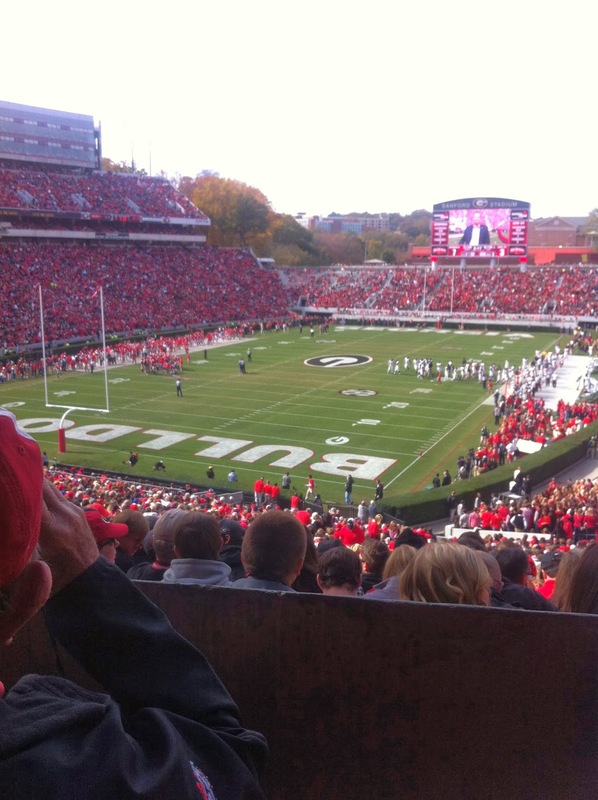 I flew back Friday only to hop in a car and head down to Athens to watch my Dawgs take on the Mountaineers Saturday. If you follow me on instagram you already knew that. We handed it to them, which made my weekend extra awesome! 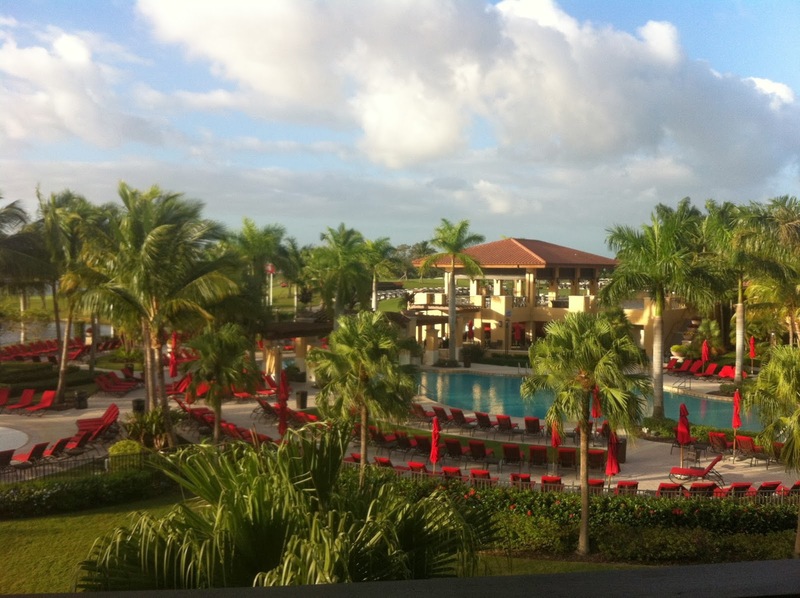 The view from my room at the PGA National Resort and Spa. The view of the game from our seats! We had actual seats which was nice. My inability to purchase our first set of tickets paid of because these were better and much more comfortable. This entry was posted in Life, Trips, Update on November 15, 2013 by SimpleeSampson.